In the world of manufacturing, continuity is king. Profitability often depends on powering repeated processes and avoiding the risk of unplanned downtime. 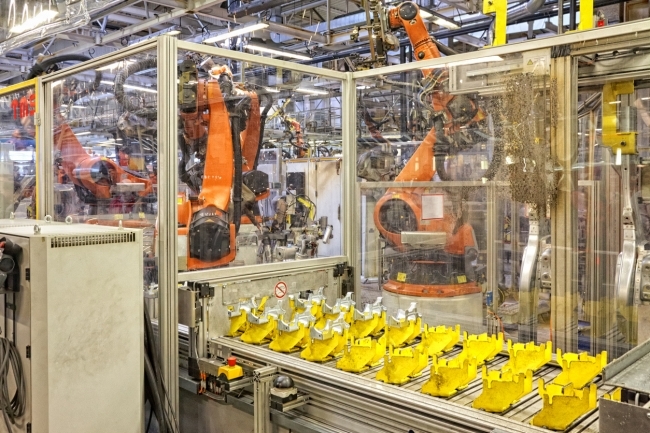 This must also be balanced with continual improvements in efficiency and productivity – because commercial success isn’t just about how fast you can make the goods, it’s also about eliminating wastage and keeping overheads down. This is nothing new, of course: the need to avoid disruption and the manufacturing mantra, ‘do more with less’ are as old as the manufacturing industry itself. What is new is the huge quantity of data that’s available to assist with the task. 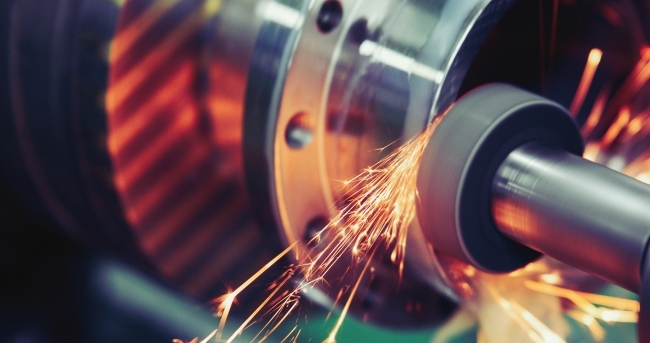 Manufacturing processes create great swathes of data every day. It means that businesses on a quest towards optimisation have everything they need to achieve their ambitions – provided they also have the right tools for the job. Without the right hardware, the right software, and the right expertise, data is just numbers. Put those things in place and data becomes invaluable. It has the power to make forecasting more accurate, plant schedules more efficient and decision-making more straightforward. Used well, your data will save you time and money – as well as helping you to ensure long-term business resilience. Energy use lies at the heart of continuity and profitability in manufacturing. Yet the essential nature of energy in manufacturing may be the very thing which leads manufacturers to look elsewhere for their efficiencies; perhaps believing that to go beyond the usual tried-and-tested energy efficiency measures would be to risk disruption to continuous processes. This certainly doesn’t have to be the case. Energy data, much like supply chain or production data, has the potential to deliver value straight to a manufacturer’s bottom line. Combined with a little joined up thinking, it also has the power to help businesses transform outdated systems and processes or make investment decisions that will not only protect their critical functions but also ensure commercial strength for the future. With our UK energy infrastructure changing so quickly, beginning to unlock the true potential of your energy data will certainly put you on the front foot. Business energy invoices – and electricity invoices in particular – are made up of an increasingly complex array of components. On top of actual energy charges, there are many non-commodity costs in the mix, including those related to environmental policy and management of the network. Time of use is increasingly important to maintain budget control, as is energy flexibility. Add changing compliance requirements to the mix, and better energy management can start to feel like an uphill struggle. So, how do busy manufacturers with stretched resources start to win the energy optimisation battle? For many manufacturers, Automatic Meter Reader (AMR) has transformed how they use and record data. The technology behind AMR means access to accurate reporting across entire sites, a better understanding of consumption trends and the ability to track consumption against peak price times. The rollout of smart meters is also underway, giving more options for keeping track of your data with ease. Find out more about AMR and smart meters here. Businesses that can introduce flexibility into their energy consumption patterns are not only supporting the transition to a world that runs entirely on green energy; they are also introducing the potential for significant cost savings and new revenue streams for their organisation. How you approach energy flexibility will depend on your individual business needs, ambitions and assets – but having an expert partner to lean on can be invaluable. Services like Ørsted’s Site Optimisation can help you unleash the power of your energy data and reassess plant schedules to minimise energy costs without compromising production or quality control. As we enter the era of big-data and blockchain technology, any business energy supplier worth their salt will offer customers a comprehensive online service. This should not only allow them to view their own consumption and costs, but to analyse their data against market trends, generate meaningful reports and manage their energy procurement at the touch of a button, with instant access to expert help when needed. Ørsted’s customer portal provides customers with a vital energy management tool, available from any device whenever and wherever they need it. It’s designed to help them get more from their energy data, supporting them to identify potential cost savings and budget with confidence – all with the help of a dedicated account manager. Read more here about how one manufacturer uses the portal. Taking the time to gain a better understanding of your energy data and making energy management a part of your continual improvement strategy is not only conducive to productivity and profitability, it will also help make compliance deadlines and reporting requirements less daunting. With the Energy Savings Opportunity Scheme (ESOS) Phase 2 deadline creeping ever closer and changing reporting regulations casting ever-wider nets, increased levels of insight and control can only ever be a positive thing.